Universal foot cream for daily intensive care. 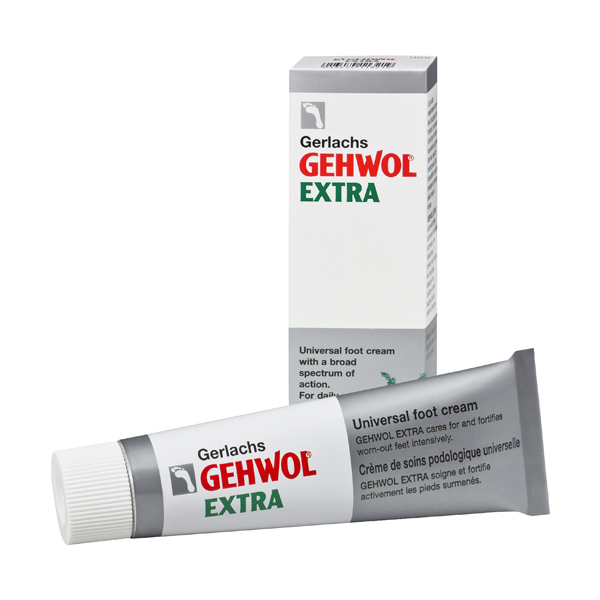 Gehwol extra cares and strengthens overstrained feet, protects against sore feet, athletes foot and foot odour. The skin of the foot is deodorised and disinfected.